Running with an objective to accomplish diversified demands of clients, we are manufacturing and supplying a wide array of HDPE (High Density Polyethylene) Mono Rope which are available in various dimensions and specifications. 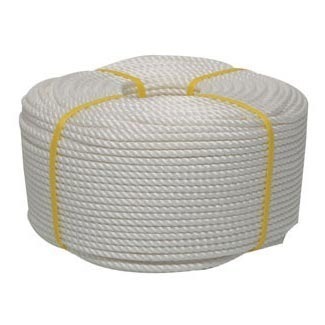 Under the strict vigilance of our adroit professionals, offered ropes are manufactured from premium quality high density polyethylene material and the latest technology. Provided mono ropes are widely acclaimed by our clients for their smooth finish and easy handling.